The head of the Russian space agency, Igor Komarov, wants to speed up the replacement of the trouble-plagued Proton launch vehicle with new Angara rockets, TASS reports. ‘It is necessary to expedite the transition of launches from Protons to the Angara rocket,” he said at a meeting held by Vice-Premier Dmitry Rogozin in the Siberian city of Omsk. Vice-Premier Rogozin said last week Russia should switch to digital designing in the space rocket industry, gradually giving up Proton boosters and opting for other models, like the Angara rocket. “Generally, our conclusion is also related to the need to switch exclusively to digital designing and modelling of this sort of situations and, of course, it is necessary to expedite the transition to modern carrier rockets like the Angara, gradually giving up the Protons,” Rogozin said. Russia has long planned to replace the Proton and other boosters with Angara, which is a modular family of boosters that can lift a range of payloads. However, it’s not clear how speeding up replacement of the Protons will necessarily improve Russia’s launch record, which has been marred by 16 complete or partial failures over the past six years. There are clearly serious quality control problems at Khrunichev, which produces both the Proton and Angara. Criminal charges were recently brought against three company employees for their roles in a Proton launch failure. Proton is a known quantity, with hundreds of launches stretching back for decades; the Angara series has flown twice, including one suborbital test. In any event, it sounds like the the transition to Angara is still going to take quite a while. Khrunichev head Andrey Kalinovsky says it will take until 2021 for the manufacturing costs of the Angara to fall below that of the Proton. “We’ll produce Protons till 2025. They will be the main product to provide for our enterprise’s operations until 2020,” he said at a meeting held in the Siberian city of Omsk by Deputy Prime Minister Dmitry Rogozin. Kalinovsky also said the next launch of the Angara-A5 rocket will be carried out next year, probably with a commercial satellite. “It will be in 2016. Everything depends on the satellite readiness. I think it will be a commercial launch, most likely,” he told TASS. He could not specify whether the spacecraft would be produced in Russia or abroad. “I don’t know, the decision has not been made as of yet,” Kalinovsky said. 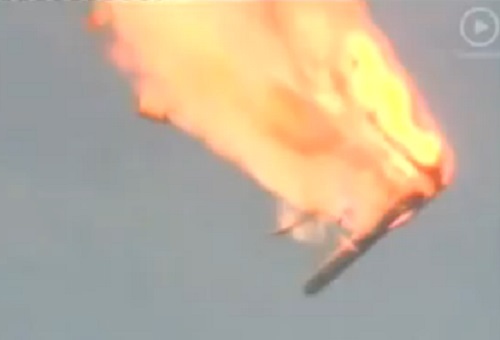 He said the carrier rocket for that launch would be produced early in 2016. The Angara-A5 made its debut flight in December 2014. Meanwhile, Rogozin says that work at the new Vostochny spaceport in Russia’s Far East is back on track, with the first launch still set for December. After that milestone is out of the way, work will begin to accommodate the Angara launch vehicle at the new site. “There are plenty of plans and all of them are also provided with cost estimating documentation,” Rogozin said, adding that normalisation of the construction progress has taken a major effort and it was also necessary to “learn the language of the builders,” as well as to overcome problems with a multilayer subcontracting system. We need the house GOP to quit gutting private space. …quit gutting *private* space, send more government money – stat. So, you think that it is a smart thing to spend our money on the SLS which will not be ready for another 7 years and costs 1+B / launch, or to send another .5B to Putin, rather than spend .25B on getting multiple companies going? IOW, your political philosophy is far more important than NASA and CONgress making good business decisions?